Titebond No Run, No Drip (AKA: Quick and Thick) is the thickest, fastest drying glue available for use with porous and semi-porous materials. 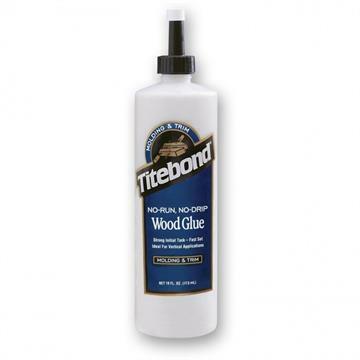 Perfect for finish trim, or mouldings and other applications requiring a professional strength, non-running wood glue. Easy to use, cleans up with water before setting. 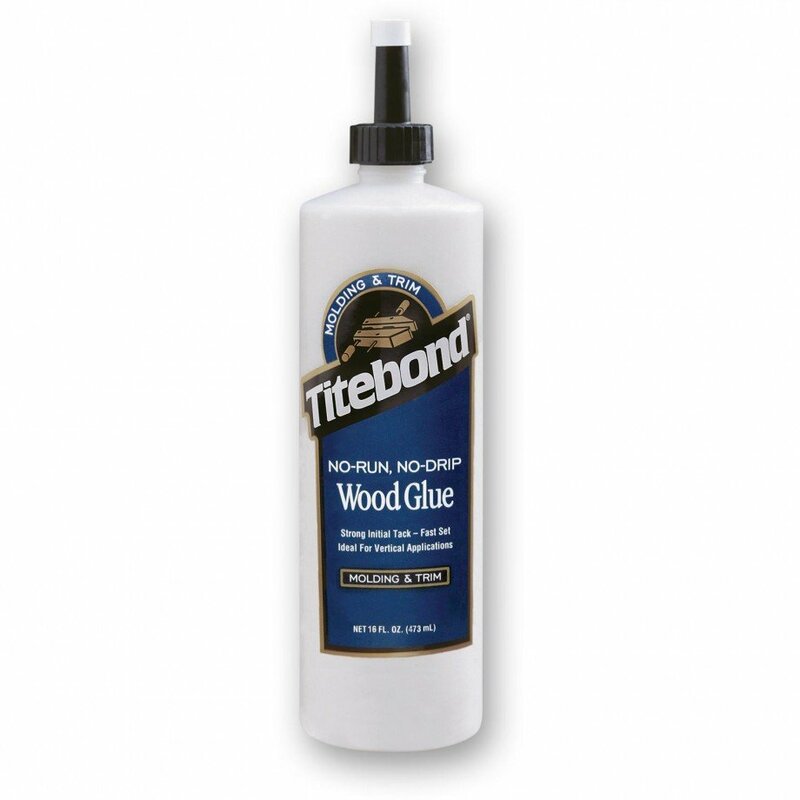 Non-toxic Titebond No Run, No Drip (Quick and Thick) Glue provides strong initial tack, fast speed of set, yet allows for realignment of working pieces.